I was lucky enough to find one on eBay! Thirtysomething hockey fan from the Ottawa Valley in Ontario, Canada. Though Guy Carbonneau is my hero and has been for years, I am actually a long-suffering Ottawa Senators fan. Originally intended as a companion to Diane Lau's wonderful tribute site, I started this blog in 2011 to keep fans apprised of Guy's latest doings. 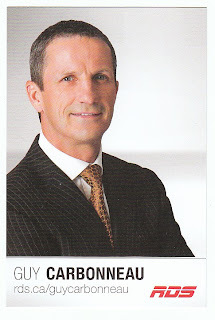 You'll find all the current Carbonneau news here, as well as my thoughts on the subject of my all-time favorite hockey player (and personal hero). Did he or didn't he? Guy sometimes shows up in the strangest places. 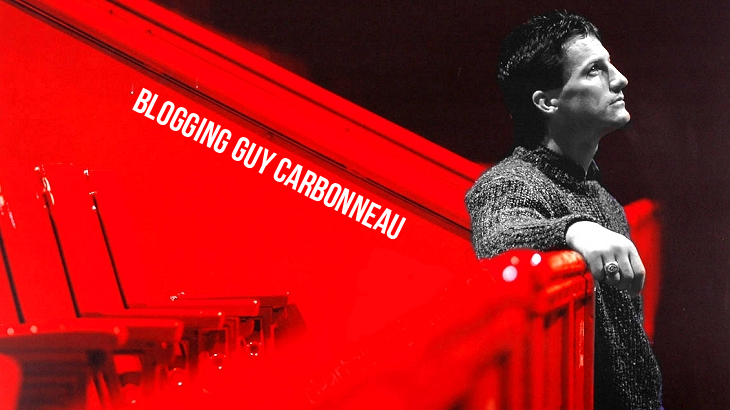 This is a fan blog and is not authorized by Guy Carbonneau in any way. I am also not the owner of many of the photos posted here, they are used merely to illustrate the posts and are always credited (when possible). Please also note that some external links (ie. YouTube) may not work on older posts, but the links remain in order to maintain the integrity of the post. Except where otherwise noted, all content (c) bloggingcarbo.com. All rights reserved. Powered by Blogger.